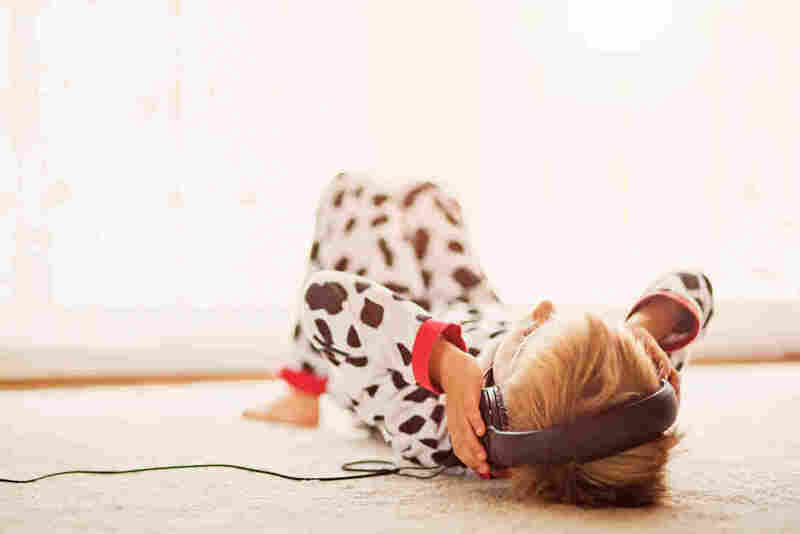 Sutures With A Soundtrack: Music Can Ease Pain, Anxiety Of Surgery : Shots - Health News Most studies of music's ability to ease pain have been small. But an analysis pooling the best research builds a strong case, doctors say, that a dose of music reduces the need for painkilling pills. We all get by better with a little help from our tunes. Hospitals have a free and powerful tool that they could use more often to help reduce the pain that surgery patients experience: music. Scores of studies over the years have looked at the power of music to ease this kind of pain; an analysis published Wednesday in The Lancet that pulls all those findings together builds a strong case. Dr. Catherine Meads at Brunel University focused her attention on 73 rigorous, randomized clinical trials about the role of music among surgery patients. "As the studies themselves were small, they really didn't find all that much," Meads says. "But once we put them all together, we had much more power to find whether music worked or not." She and her colleagues now report that, yes indeed, surgery patients who listened to music, either before, during or after surgery, were better off — in terms of reduced pain, less anxiety and more patient satisfaction. Maybe most notably, patients listening to music used significantly less pain medication. Meads says, on average, music helped the patients drop two notches on the 10-point pain scale. That's the same relief typically reported with a dose of painkilling medicine. Some hospitals do encourage patients to listen to music, but Meads says the practice should be more widely adopted, given the evidence of its effectiveness. In many of these studies, she notes, the patients chose the music they listened to. "It could be anything from Spanish guitar to Chinese classical music." And, unlike drugs, she says, music "doesn't seem to have any side effects." Well, there may be one side effect. A few studies (such as this one) have noted that operating rooms are very noisy places, and music played in the room can make it harder for the surgical staff to hear what's going on. Doctors sometimes have to repeat their commands, creating opportunities for misunderstanding or error. "If surgeons are listening to music, it can be a bit of a distraction," Meads says. "So it may be it's not such a wise idea to have it during the operation itself." That was not, however, something Meads analyzed in her study of music and medicine. Many surgeons listen to music during a procedure; discouraging that habit could be a tough sell.